Receive updates on the latest merchandise and events at The Outsiders House Museum. Sign up today! by Francis Ford Coppola in Tulsa, Oklahoma in 1982. The Outsiders House Museum is dedicated to the preservation of the home and memorabilia used in The Outsiders, filmed by Francis Ford Coppola in Tulsa, Oklahoma in 1982. In the early ‘80s, Oscar winning director Francis Ford Coppola came to Tulsa, OK to catapult S.E. Hinton’s memorable characters off the pages of The Outsiders book onto the big screen. Rather than use a Hollywood back lot, the film maker and crew transformed an ordinary Tulsa neighborhood into a fully functioning movie set. In 1983, The Outsiders was released, featuring a cast of young, talented actors who would go on to become household names. The director and film crews departed, the actors and props scattered, and the local extras went back to their day to day lives. 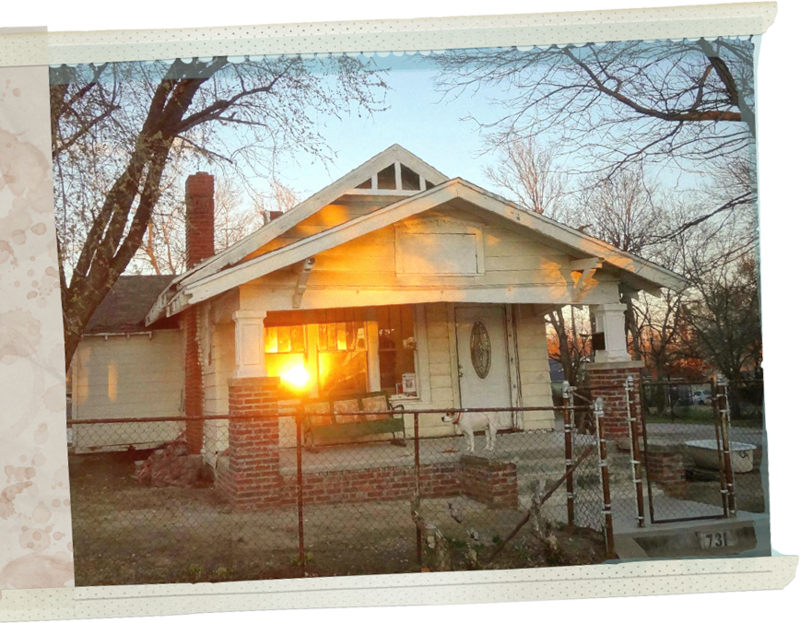 But, on a quiet Tulsa street corner, the iconic “Curtis Brothers House,” the modest bungalow where the scrappy, close-knit Greasers lived, loved, fought and reconciled, remained a tangible testament to the cinematic legend. 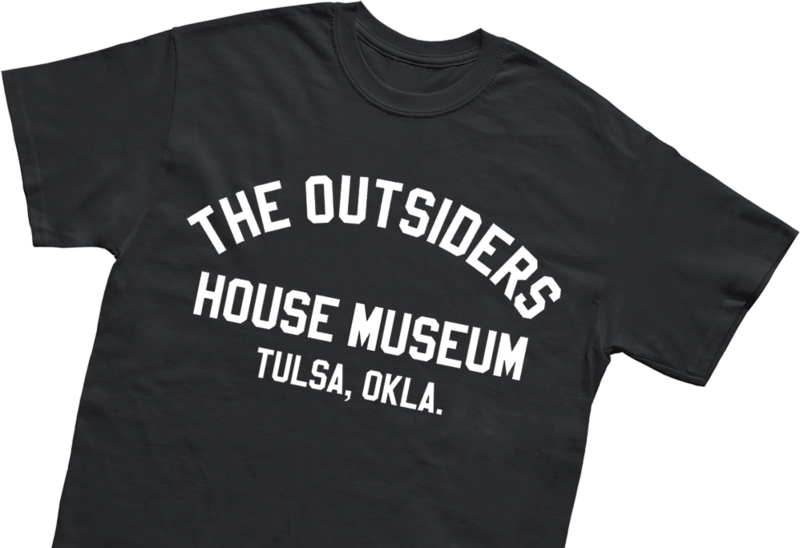 Now available – official, limited edition Outsiders House Museum merchandise. Check back often for new additions to the current line of t-shirts, mugs, pins and more. @EvaMBS @YouTube Yep! We have it on vinyl. Good stuff! This is where Pony and Johnny go to find Dallas, after the stabbing in the park. The original building was known in Tulsa as the Rose Dew Egg Farm. It is now a Burger King/Hotel. Located at 3242 N. Peoria, Tulsa, OK. The new building is now J & J Appliances. This Kum & Go, formerly a Tastee-Freez-esque Burger Stand is the location of Pony’s conversation with the Socs, while Two-Bit is “baby-sitting” him. The Football stadium visible in the background is still across the street and virtually unchanged. The school that Ponyboy attended. Also the school that Outsiders author S.E. Hinton attended in real life. The Admiral Twin Drive-In movie theater was the location for many scenes in The Outsiders. Filmed on Main Street, Owasso, OK. This corner across the street from Boston Avenue United Methodist Church is where the bus mirror almost knocked Two-Bit in the face. The site of the opening scene on the Director’s cut. Convenience store Dally robs and gets shot. This is where Johnny and Pony were attacked by the Socs, from blue Mustang. The original monkey bars are gone. The fountain was put in place for the film and removed when they finished. Approximate location, 209 N. Boston Avenue, Tulsa, OK.
Northeast corner of Crutchfield Park. Hospital where Johnny Cade dies. The former school served as production offices for American Zoetrope productions. Filmed at Crutchfield Park, Tulsa, OK.
Also known as The Outsiders House. Danny Boy O’ Connor is currently renovating the home, creating The Outsiders House Museum.